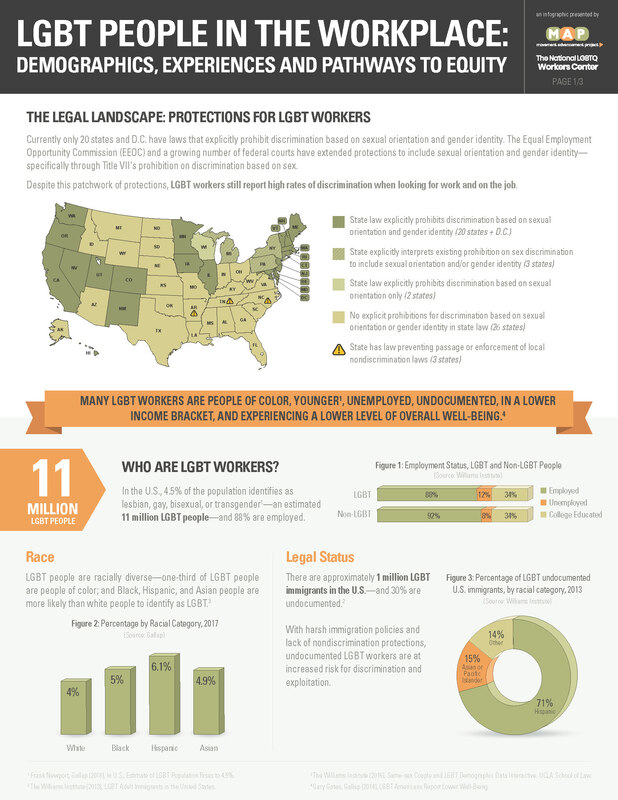 Are LGBT Workers Protected from Discrimination? 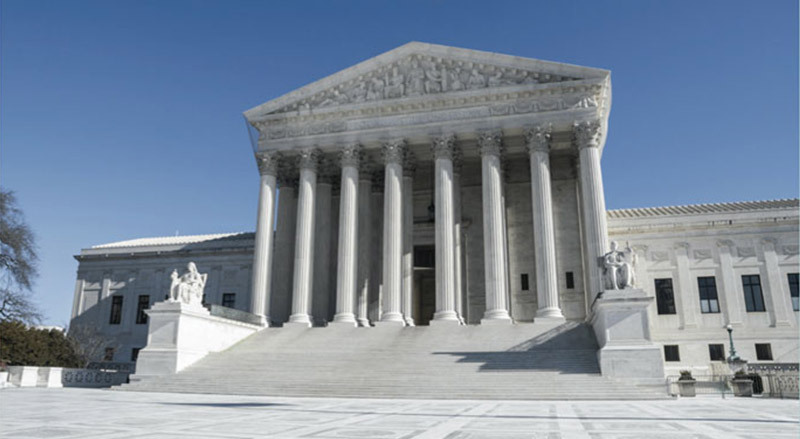 Unequal treatment under the law can prevent LGBT Americans from being able to fully participate in American life. 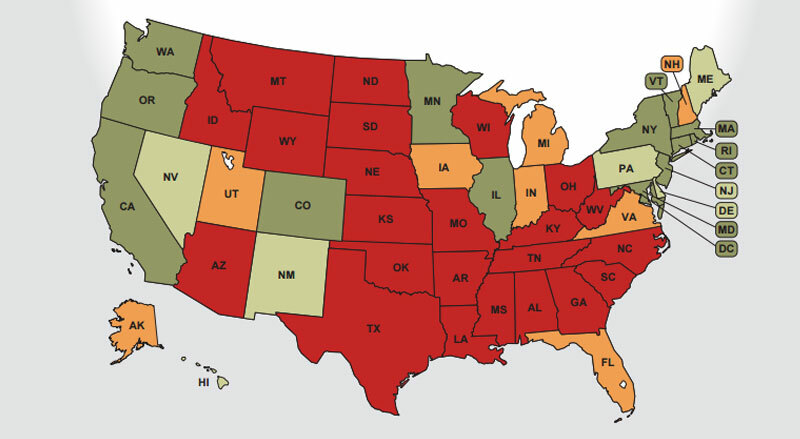 LGBT employees have no explicit federal protections from workplace discrimination in more than half of the states. 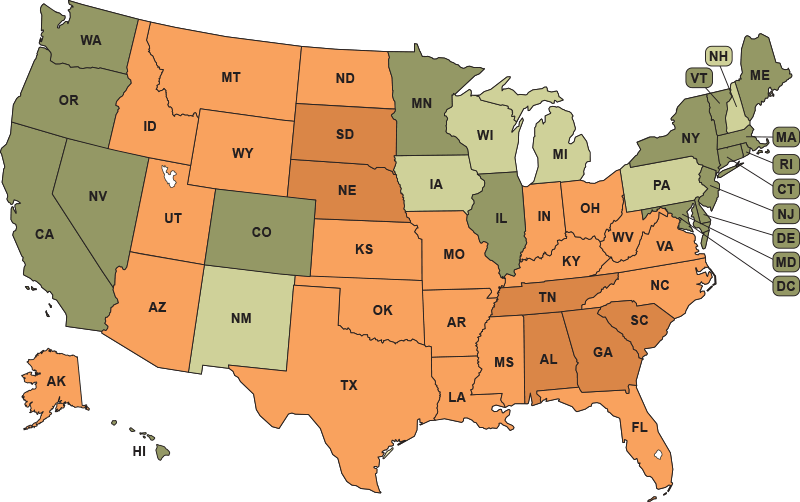 While other states have worked to advance laws allowing workers to take paid leave from work to care for a child, to ban harmful conversion therapy practices on youth, and other protections. 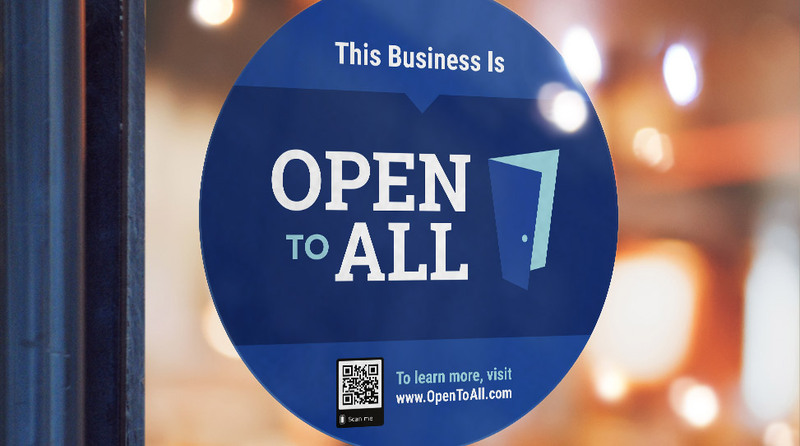 Open to All is nationwide public engagement campaign to build understanding and discussion about the importance of protecting people from discrimination—and the bedrock principle that when businesses open their doors to the public, they should be Open to All. 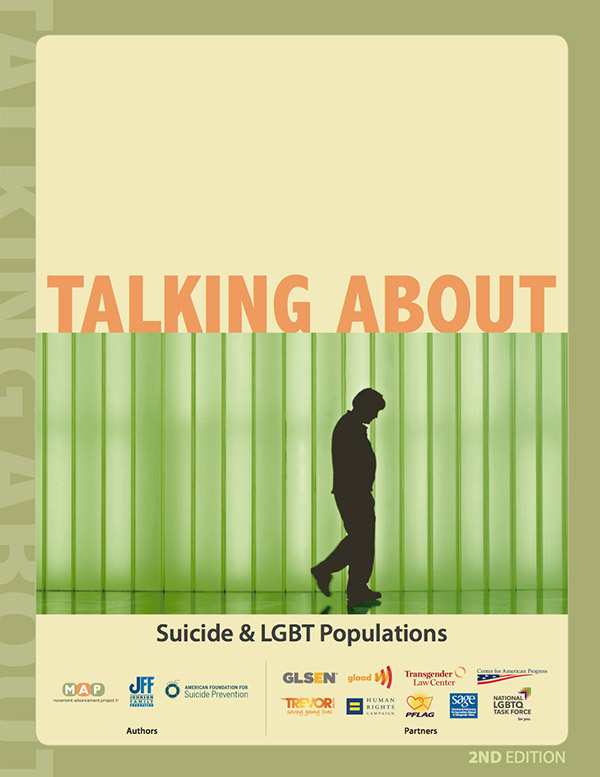 The 2018 LGBT Community Center Survey Report surveyed 128 centers located in 40 states, the District of Columbia, and Puerto Rico, and provides a crucial snapshot of the centers that provide vital services, programs and advocacy for LGBT people. 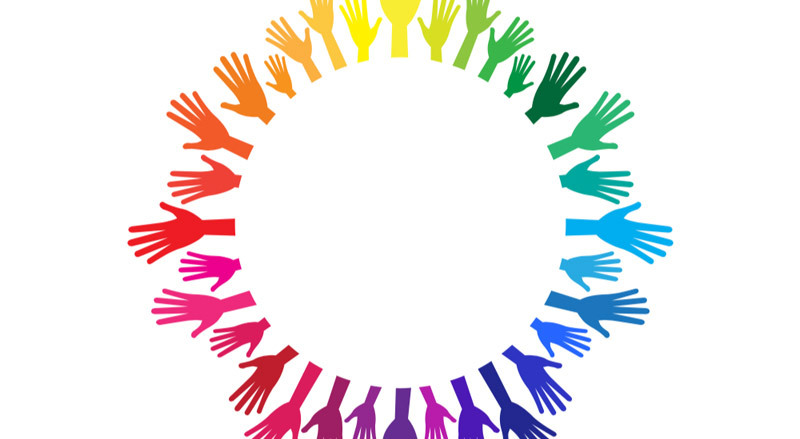 The 2018 report finds that local community centers serving lesbian, gay, bisexual, and transgender people provide vital information, education, and health services to over 45,000 people each week. 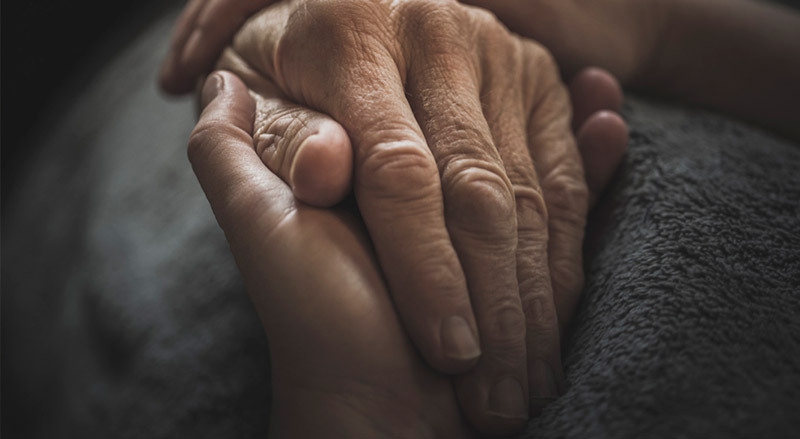 Religious exemptions laws jeopardize the security and safety of LGBT older adults, who rely on many religiously affiliated organizations for services like congregate meals, skilled nursing, and health care. 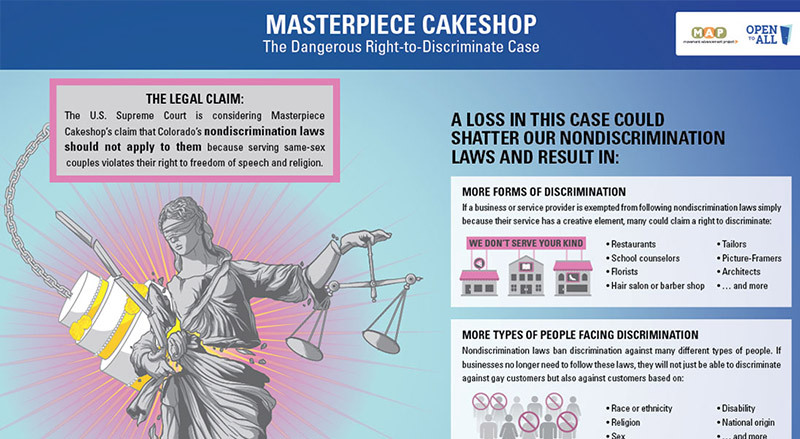 In June 2018, the U.S. Supreme Court ruled in Masterpiece Cakeshop vs. Colorado Civil Rights Commission. 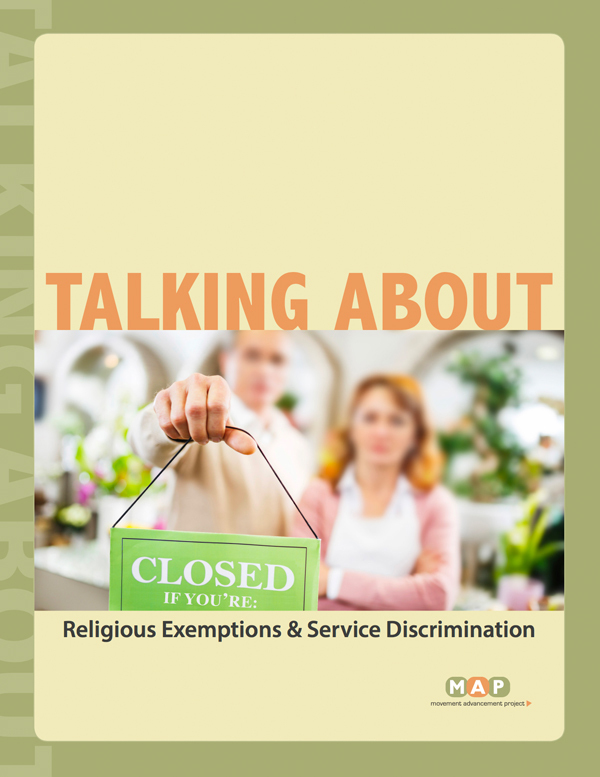 This guide offers background on the case, the Court's ruling, and similar cases about service refusals. 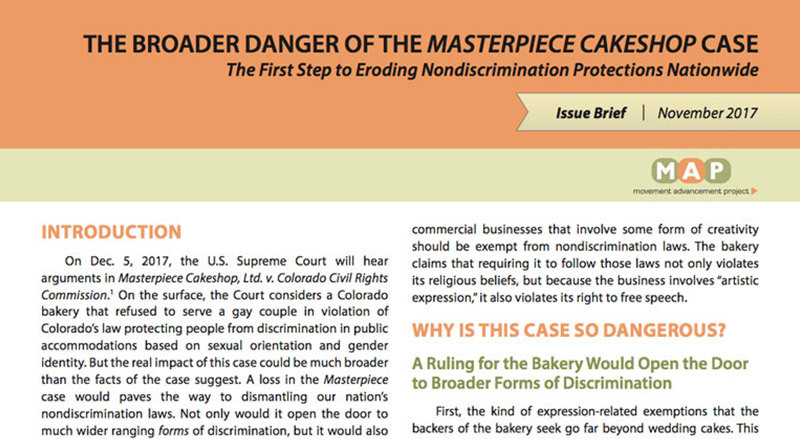 This issue brief provides an analysis of the legal questions in the case, and the broad legal implications the case will have on people color, women, minority faiths, people with disabilities and others. 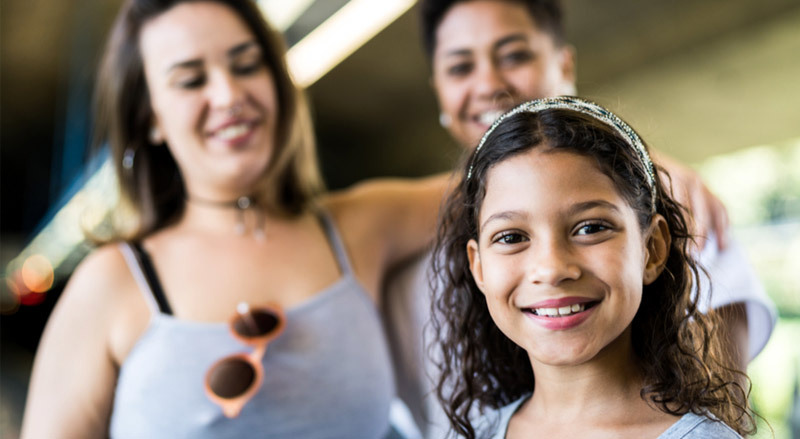 This report offers an overview of laws protecting LGBT youth from conversion therapy practices that attempt to change their sexual orientation or gender identity. 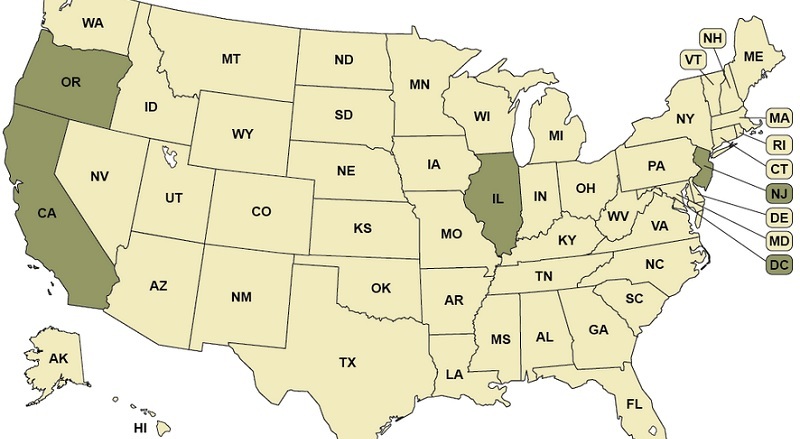 These practices, which may include techniques such as shaming, hypnosis, inducing vomiting, and electric shocks, have been widely discredited and renounced, including by groups like the American Psychological Association. 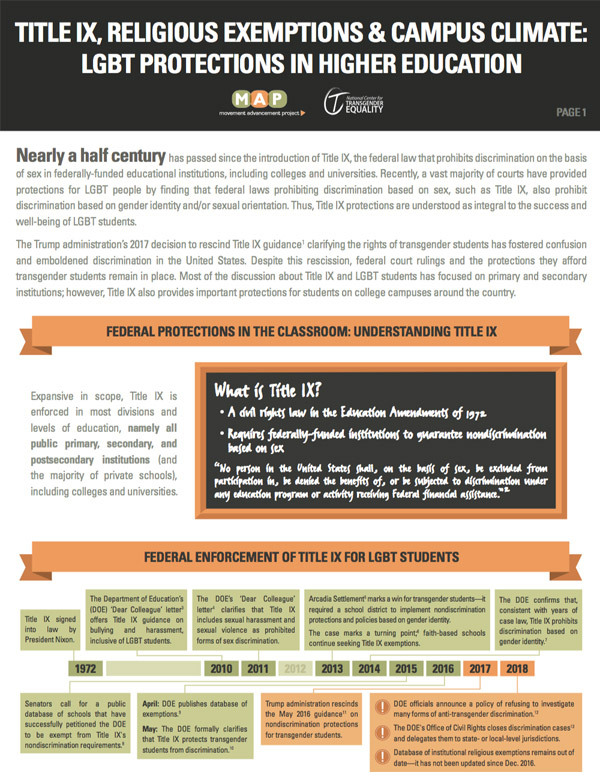 The brief also includes policy recommendations to ban harmful conversion therapy practices. 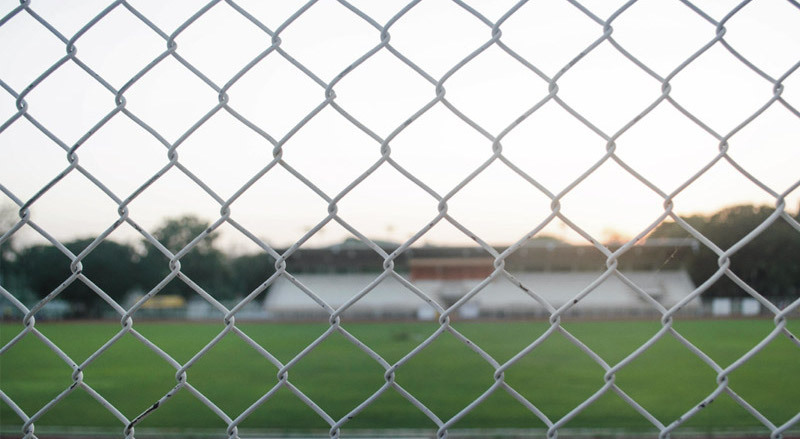 This report examines how LGBTQ youth who are incarcerated in juvenile detention and correctional facilities face bias in adjudication, and mistreatment and abuse in confinement facilities. 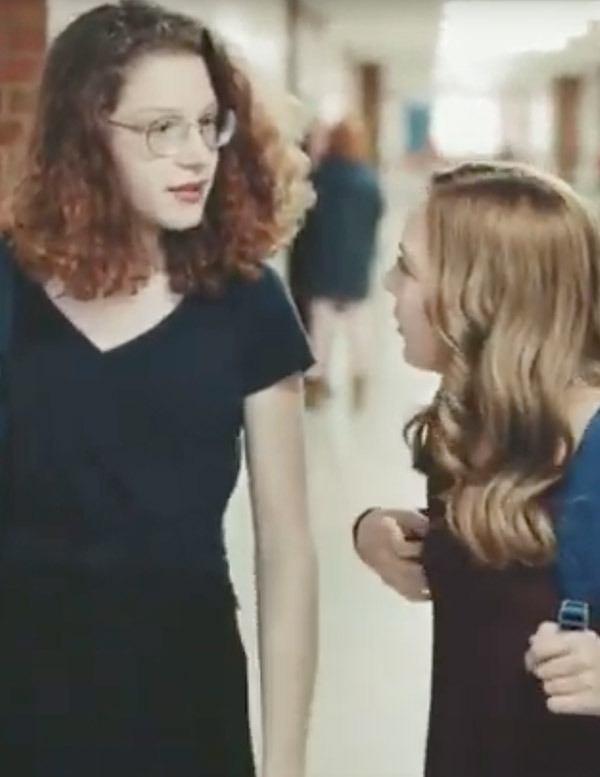 LGBTQ youth also lack supportive services when leaving the criminal and juvenile justice systems, often forcing them back into negative interactions with law enforcement. 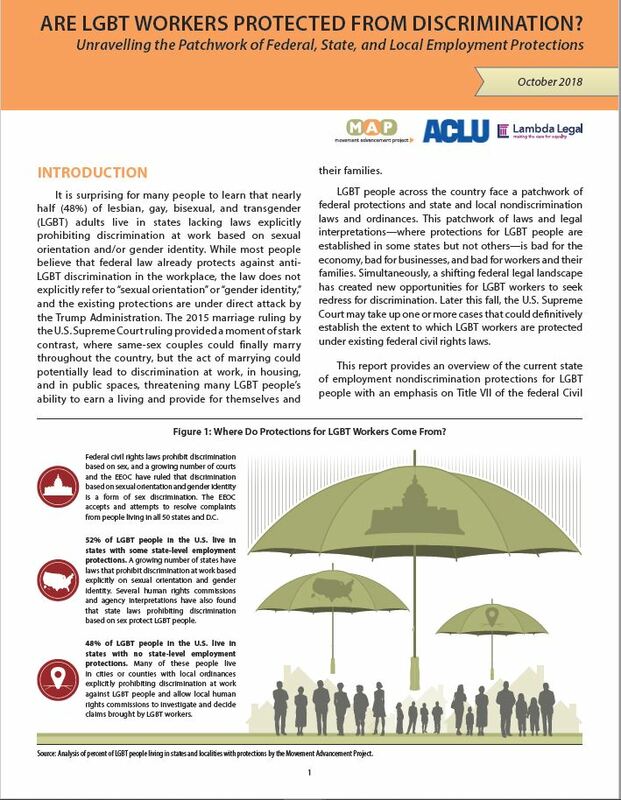 To help make sense of the current policy landscape in the states, this report looks at legal equality for transgender people across the country. 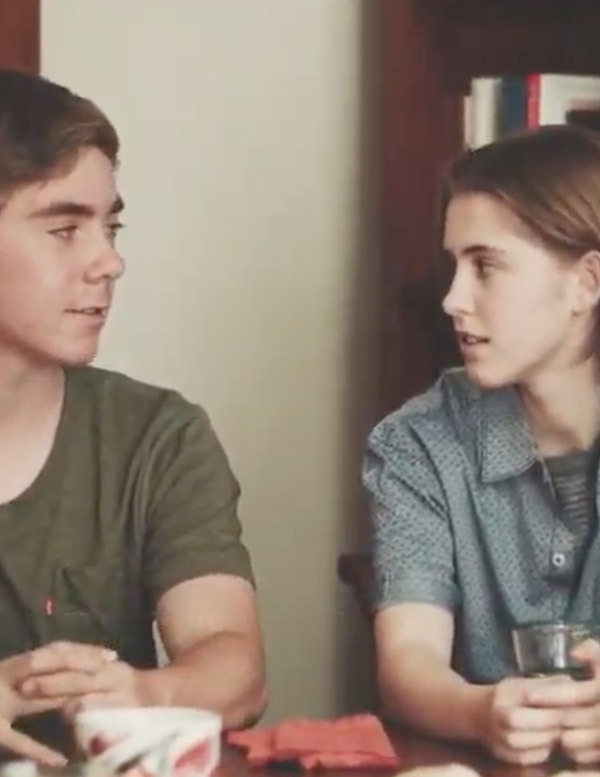 The gender identity tally is comprised of 25 state laws and policies in five key categories: Non-Discrimination, LGBT Youth, Health and Safety, Ability to Correct the Name and Gender Marker on Identity Documents, and Adoption and Parenting.